It's holiday party season once again and I am not planning to run right out and buy new things for my closet. It's much more economical and fun to work with what I currently have and tweak what I have on hand. My everyday style is casual and comfortable but I like to keep my closet interesting. 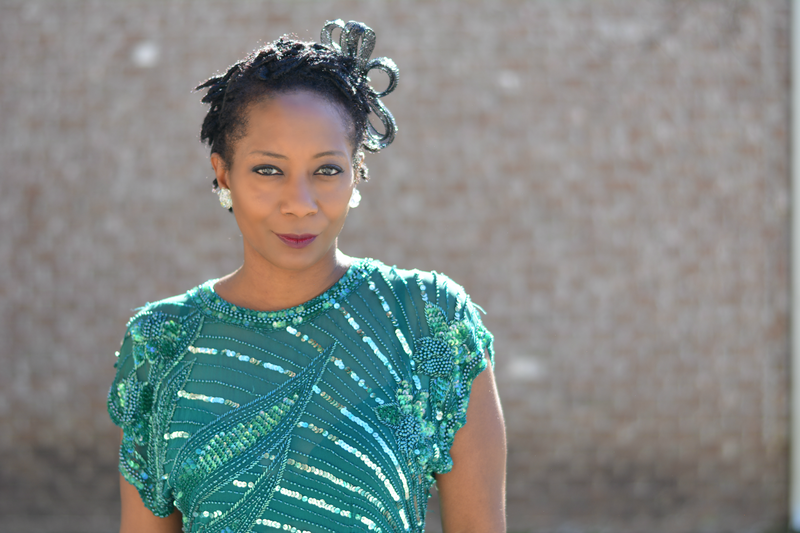 Here's what I did to change things up and added in some glam for the holidays. Changed up my hair. For Thanksgiving, I made a subtle change to my hair color. 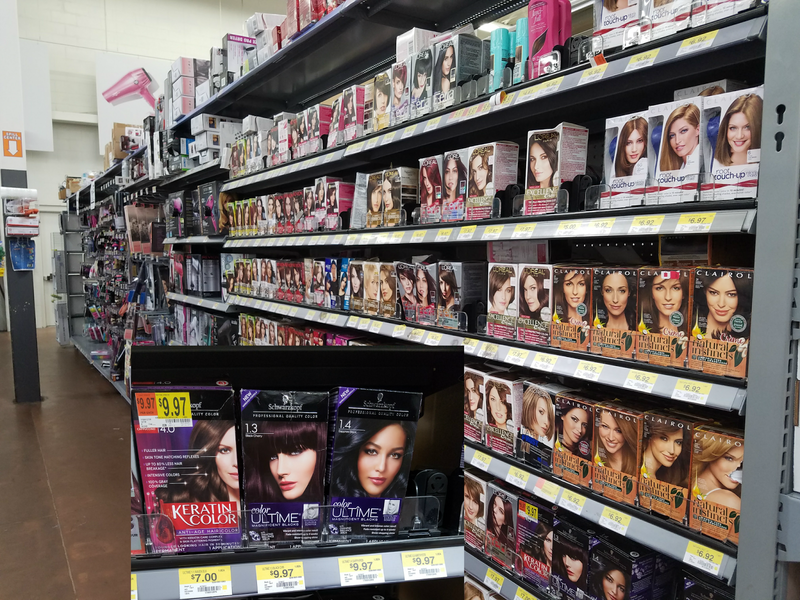 I picked up a box of Schwarzkopf® Keratin Color in Rich Caviar at Walmart. It's darker than my normal hair color and has deep purple undertones which I love. I haven't changed my hair color since the magenta highlights I added to my locs a few years ago. I was a little nervous about applying permanent hair color. I didn't want the color to come out streaky and I wasn't sure if the deeper color would suit me. It was so simple to apply though. Everything I needed was in the box - pre-treatment, color, conditioner and gloves. 2. Shake the Color Creme up in the application bottle. 3. Apply color to hair and massage with fingertips. 4. Leave on your hair for 30 minutes. 5. 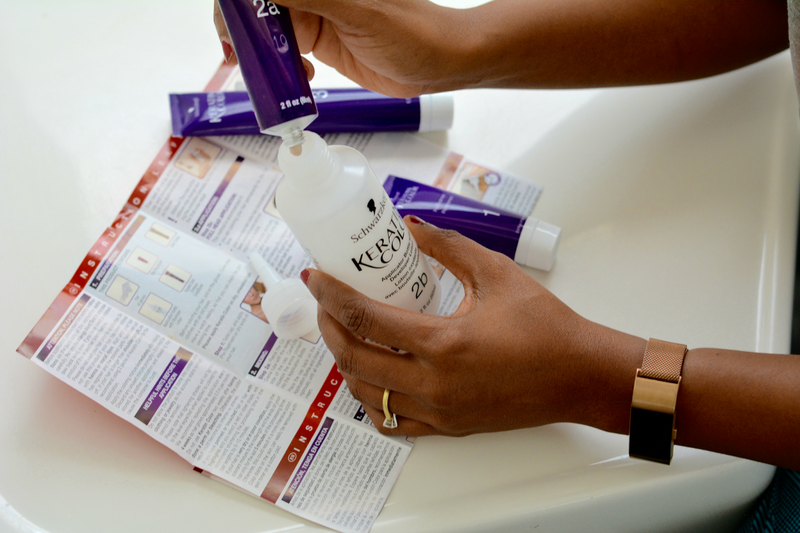 Rinse and condition with the Keratin Care Complex Conditioner. The color came out perfectly and evenly. I know longer look like I have pieces of lint stuck in my hair. My gray hairs are completely covered. My hair is brighter and more intense than my natural hair color. I absolutely love the halo of rich purple color that appears when I'm out in the sun. I am really impressed with my hair and how shiny it looks. If you'd like to glam up with hair color, you can try Schwarzkopf® Keratin Color for FREE by completing a rebate form plus you can earn $2 cash back! Schwarzkopf® Keratin Color is a proud sponsor of Dress for Success® so every purchase helps support the mission to empower women looking for upward mobility by revitalizing hair and clothing options so they can be as successful as they look. That's definitely a mission that I'm proud to support. Add a festive touch with a bold accessory. I added a fascinator. If you've already started your holiday shopping then you probably have some ribbon in the house. Tie it to a headband and it becomes a fascinator. Instructions: Fold the ribbon in half lengthwise. Create an easy bow by tying the ribbon to the headband. Take one tail and fold it over and across the top of the knot. Sew it in place. Do the same with the other tail. Cut a piece of ribbon and loop it twice around your finger and tack it to the middle. My last little trick for adding holiday glam is to wear something you feel amazing in. Feeling good in my clothes always brings up my confidence. Pull out the favorite dress even if you've rocked it before. 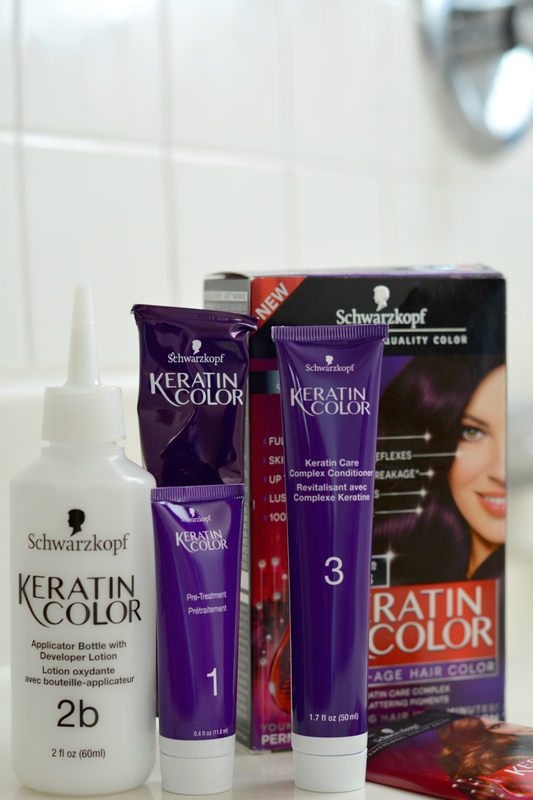 Accessories and Schwarzkopf® Keratin Color can make all the difference. 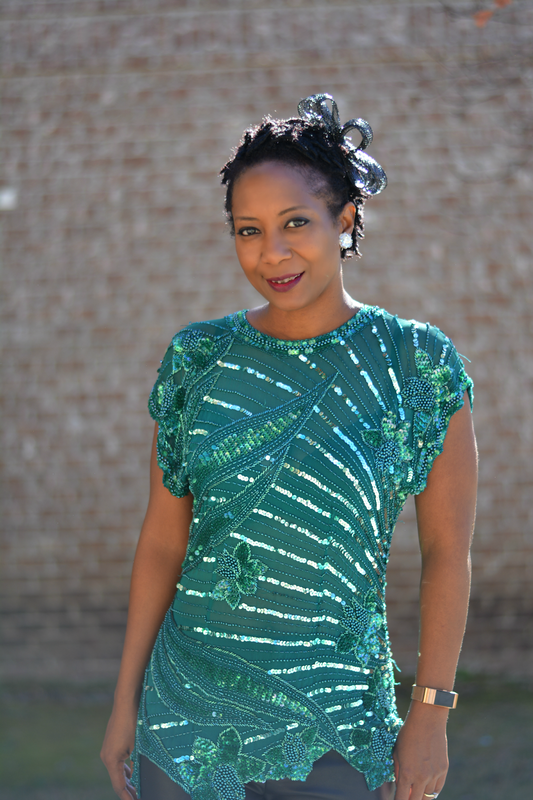 Sequins and vibrant colors are my holiday favorite. 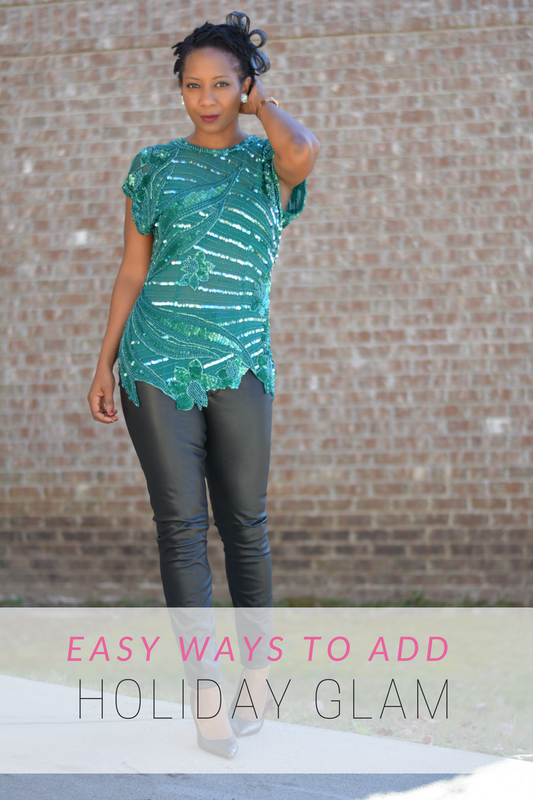 I've worn this thrifted sequin tunic to many occasions. Sometimes with jeans and sometimes with black pants. I'm currently crushing on these recently found secondhand faux leather pants. They're one of those pieces that will go with just about anything. If nothing is working for you, thrift stores are always a good option to find an inexpensive piece to change up your look. Start with a color you love and look for rich textures like velvet or sequins for the festive glam. How are you going glam this holiday season? Do you color your hair?